On October 19, 2014 Karolína Černá, Tomáš Kvapil and Leoš Tatíček (all three of class 3PO) went for 2 weeks to Žilina, where they as students of Fire protection had the opportunity to improve their practical skills in this field. The internship took place at the Secondary Technical School of Civil Engineering where a related specialization Mechanic of fire equipment is taught. Accommodation and food were very good, both at a boarding school. In the first week of practice we learnt mainly to disassemble and reassemble the fire equipment, we learnt to fix mechanically damaged fire hose. Three days we spent in a welding school, where we tried to use different techniques of welding (oxygen-hydrogen flame, electrode welding, welding in an inert atmosphere CO2). We learned to fill a breathing apparatus. We practiced with breathing equipment inside the polygon. We made the acquaintance of transport extinguishing water to a height of 40 meters. We visited Fire and Rescue Service in Zilina. We also visited the Museum of Fire Equipment. In the free time and at the weekends, we took a trip to Strečno and Orava Castle and we saw the historical monuments of the city of Žilina. Every year our school organizes internships for the students. The aim is to learn new techniques, gain new knowledge and experience. 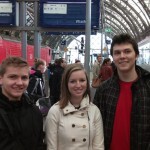 This year two groups of students went to Bratislava, Slovakia. 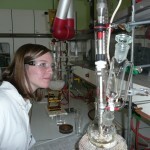 Students of Applied Chemistry (Lukáš Bartůněk, Anna Vokounová, Kateřina Krejčová) completed an internship at Stredná odborná škola chemická. Students of Hairdressing (Jana Lásková, Viktorie Ledvinová, Eliška Petráková, Denis Behina) and Cosmetic services (Jitka Ertlová) attended a professional programme at Stredná odborná škola Beauty Care. The internships lasted two weeks and were completed in the period of 2–15th November 2014. Hairdressers learned various techniques of hair extensions, hairstyling via computer, creating visage. They made hairstyles for various occasions. They were acquainted with the materials used in the salon, they took part in the training of the firm Rolland and they obtained the certificate. At the beauty salon they tried to work with a variety of cosmetic devices (Exilis, lymphatic drainage, cosmetic laser Lasocare, bio lamp, ultrasound). They conducted face and neck massage, deep cleansing, makeup for different occasions, manicures and nail decoration. 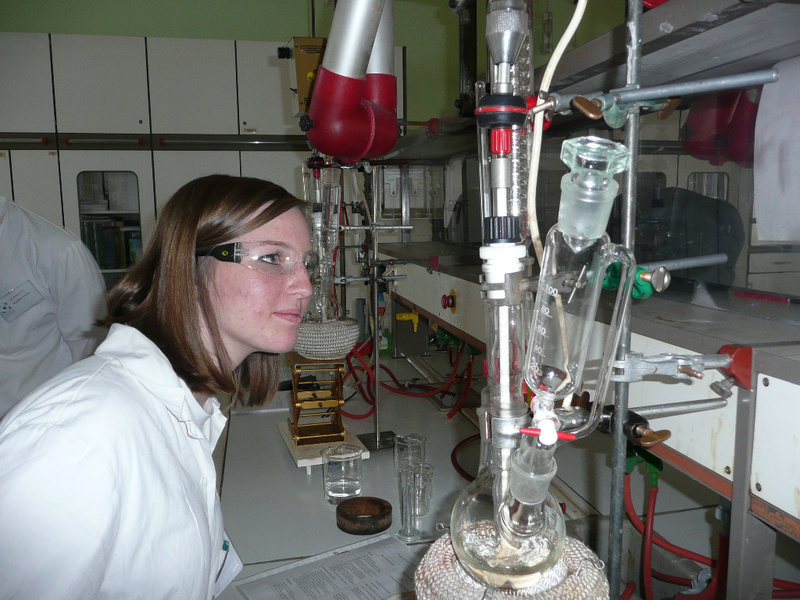 Chemists worked in the microbiology laboratory and pharmacology laboratory of the chemical school. They tried the gravimetric determination of calcium, determination of sulfur dioxide in wine, temporary and permanent water hardness. They determined the biologically active substances such as sugars, fats, enzyme catalase. In the microbiology laboratory they tried to cultivate fungi and bacteria. They made their own soap and performed many other interesting experiments. At the weekend, both groups visited Vienna, where they saw Stefansdom, Schönbrunn gardens and the most famous shopping street Mariahilfer Straße. During the first week an accompanying person was Ing. Miroslav Pavlata, at the second week of the training Mrs. Romana Hainzová stayed with students. Every year our school participates in the Erasmus+ programme and students of our school can participate in internships abroad where they get a lot of useful experience. Students can improve their communication skills and knowledge of a foreign language, their independence, they get to know the way of teaching in another European country and culture of the visited country. 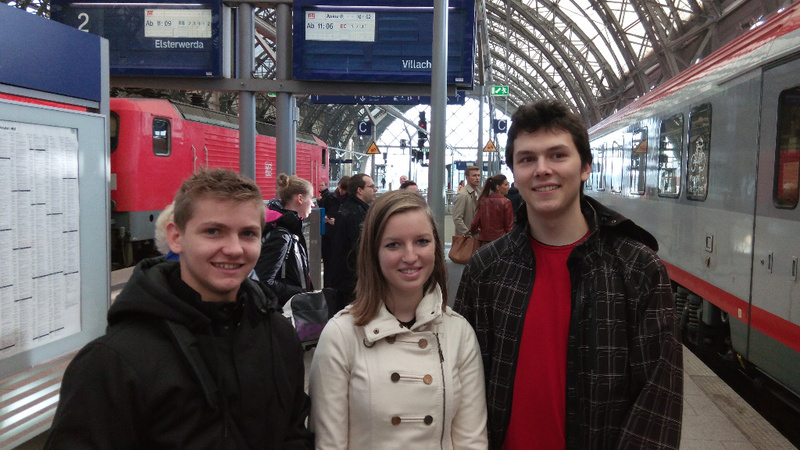 This year’s internship in Dresden, Germany was attended by three students of Applied chemistry, (Vladimír Horka, Kateřina Lustyková and Michal Mach). The internship took place in Sächsische Bildungsgesellschaft für Umweltschutz und Chemieberufe Dresden mbH in the period from October 19 to November 1, 2014. The first week was dedicated to organic synthesis. The students carried out the synthesis of acetylsalicylic acid, 4-acetamidobenzoic acid, benzylurea and other substance, 1,5-diphenyl-1,4-pentadiene-3-on. 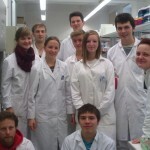 During the second week of the program, the students stayed in microbiological laboratories. Students have never encountered this type of work but with the help of German students and friendly teachers they learned these specific techniques quickly. They carried out interesting tasks, such as isolation of DNA from saliva, RNA isolation from yeast Saccharomyces cerevisiae, splitting DNA structure enzymatically, reproduction of streptomycin resistant cells and gel electrophoresis techniques. Students spent their free time in the city of Dresden, where they could admire the historic sights of this beautiful town or modern architecture, they visited Technische Sammlungen Dresden Museum, and learned about the history of photography and animated films. 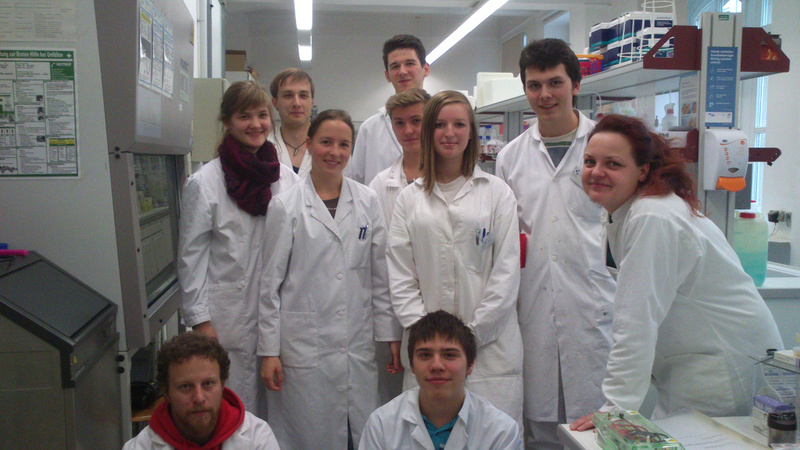 In the second week students from Lithuania arrived and our students made new friends, spent their free time with them after work in the laboratory and practiced their English. The accompanying person was Ing. Pavel Lacko, who was with the students throughout the first week. Thanks to the participation in professional internship, students gained valuable work experience, theoretical knowledge and practical skills in the field of microbiology, information about German and Lithuanian education system. The students also deepen their English vocabulary. 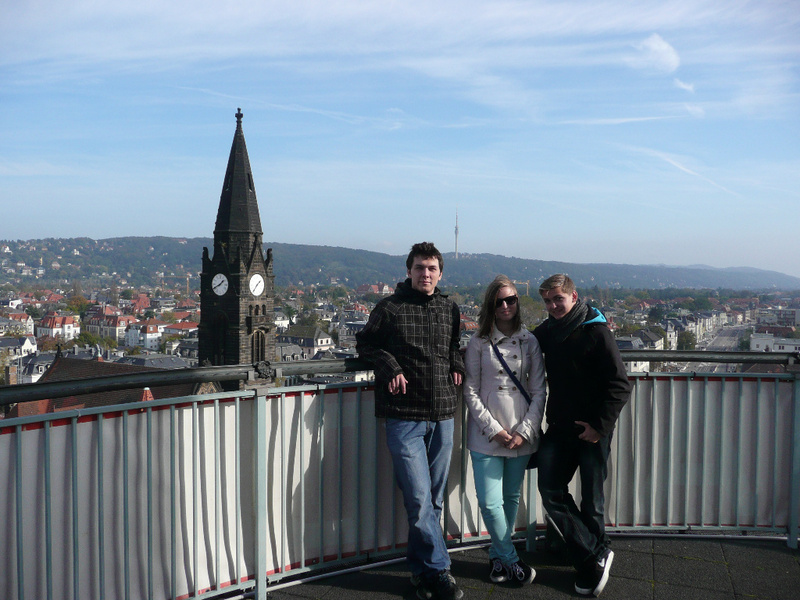 On November 9-29, 2014 students Lukáš Janecký (3 A), Kateřina Matoušová (3 B), Daniel Kouba (3 A) and Dominika Benková (4 A) participated in the internship in Great Britain. The accompanying person was Ing. Jana Šedová. The place of residence, the city of Plymouth is situated on the southwest coast of England. 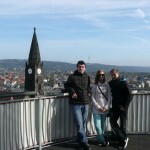 “During our stay, we undertook a series of trips. We walked in Dartmoor National Park near the city of Plymouth. We visited the sites of some famous films (The Hound of the Baskervilles) there, we saw wild Dartmoor ponies, we visited the remains of the Bronze Age settlement. We walked around the nature park near Mount Edgcumber House on the peninsula of Cornwall, we went by a ferry across the River Tamar. On the peninsula, we walked along the beach, forest and natural pastures with sheep. We also attended the Plymouth Marine Aquarium.